Dallas Cowboys owner Jerry Jones has said on numerous occasions heading into the 2018 season that coach Jason Garrett was not on the hot seat. Jones continued to pledge his fondness for Garrett during, and after, a 2018 season that featured an NFC East title and a playoff win, but that also fell short of the NFC title game for the 23rd straight season. But silence on a contract extension for Garrett, who heads into the final year of his deal, speaks volumes for Jones. Whether he admits it, Garrett is now officially on the hot seat in 2019. Sources indicated during the Pro Bowl last week that there have been no talks of a contract extension between the Cowboys and Garrett’s agent David Dunn. 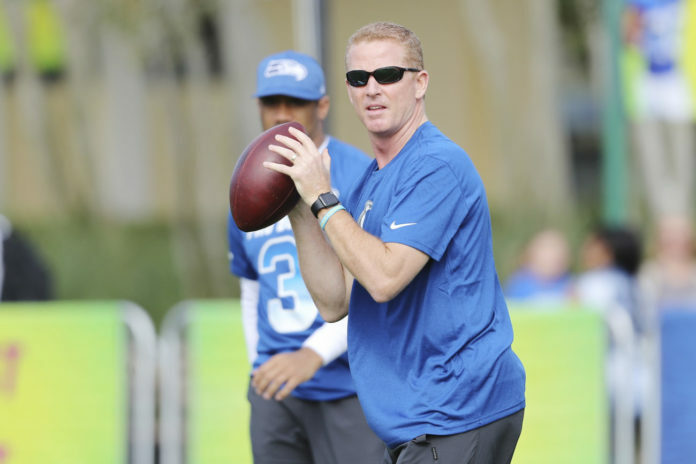 While some surmised that the Cowboys may have been waiting until all the coaching moves were finalized following the firing of offensive coordinator Scott Linehan, there was never any inkling that the Cowboys would move forward on a new deal for Garrett. Sources have now confirmed that is indeed the plan for 2019. He is unlikely to get an extension. Garrett will head into his ninth full season as Cowboys head coach with his job on the line. That the Cowboys promoted quarterbacks coach Kellen Moore to offensive coordinator and hired former backup quarterback Jon Kitna as his replacement made it unnecessary to extend Garrett, even for appearances. If the Cowboys had hired an offensive coordinator from outside the organization to a multiyear deal, then proper protocol would have been to extend Garrett so his contract would at least be parallel to the new coordinator. Garrett is coming off a season in which he led the Cowboys to a 10-6 record and his third division title since 2014 after a 3-5 start. But he has just a 77-59 record in his tenure with the Cowboys, including just 2-5 in the playoffs. That is simply not good enough for Jones. The last time Garrett went into the last year of his contract coaching for his job came in 2014, following three straight 8-8 seasons. The Cowboys finished 12-4 and won the NFC East, earning him a five-year, $30-million extension. That year the Cowboy won a wild-card playoff game against the Detroit Lions before losing to the Green Bay Packers in the divisional round. It will likely take more than a division title and a wild-card win in 2019 to get Garrett a new deal, which all makes his seat hotter than ever.